1) Q: One of these portraits represents a Roman of the first century BCE and the other represents an Italian of the fifteenth century CE. Can you guess which is which? Support your choice with visual evidence. A: Use the discussion as an opportunity for students to look closely at the style of hair or the drapery. After a few minutes, identify the portraits. 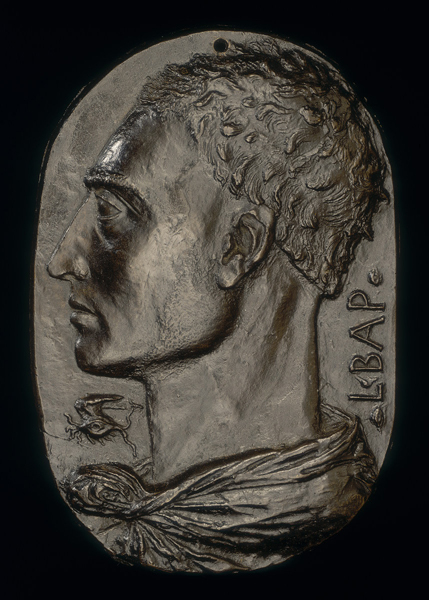 2) Q: What ancient Roman features did Alberti imitate in his self-portrait? 3) Q: Alberti was a polymath: an author, artist, architect, poet, priest, linguist, and philosopher. Why would this quintessential “Renaissance man” have chosen to represent himself according to ancient conventions? 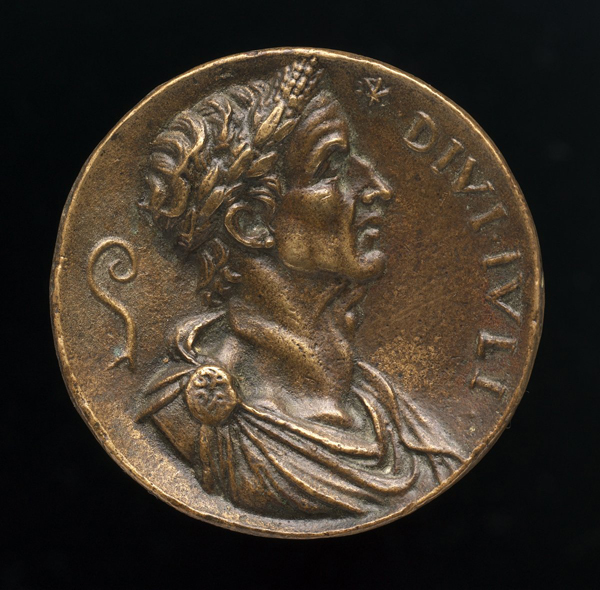 4) Q: Apart from its reference to ancient art forms, why would someone want a portrait in the form of a medal? It is small, which means it can be carried easily and shared, and it is intrinsically intimate and private. The metal material is highly durable. It is cast from a mold and can therefore be reproduced.